Why No One Wants To Talk About Fake And Faulty Drugs : Goats and Soda A new book explores why getting a properly formulated medicine is hit-or-miss in much of the developing world — and why the issue is massively underreported. Muhammad Zaman, author of the book Bitter Pills: The Global War on Counterfeit Drugs, in his lab at Boston University. When Muhammad Zaman came to the United States in 1996, he asked around for pharmacy recommendations. Friends kept telling him the same thing: filling a prescription at Walgreens was as good as filling it at CVS. Duane Reade was as safe as the Main Street drug store in any small town. The medicines sold in all of them would contain the chemicals and active ingredients that their labels claimed. He was shocked. That wasn't the case in his native Pakistan, he says. 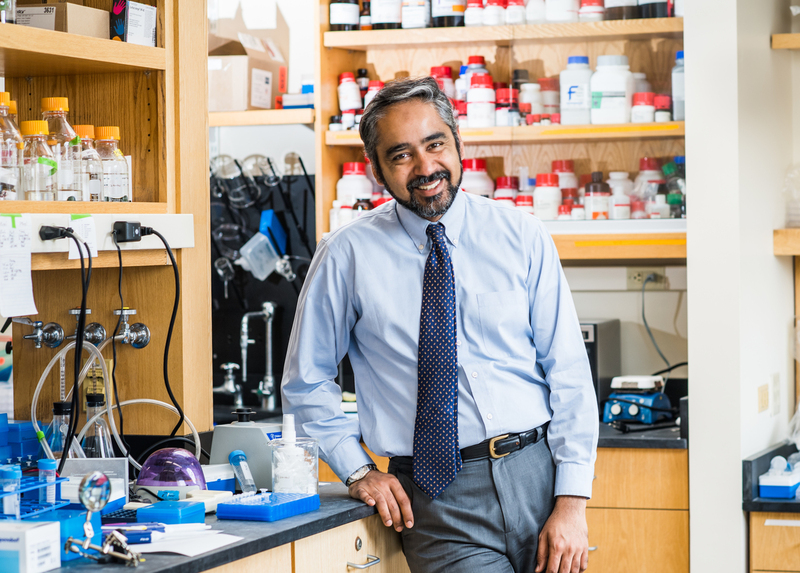 Zaman is now a professor of biomedical engineering and international health at Boston University. The contrast in the levels of trust of pharmaceuticals in the U.S. versus Pakistan stuck with him. He started investigating why getting a properly formulated drug was hit-or-miss in much of the developing world. 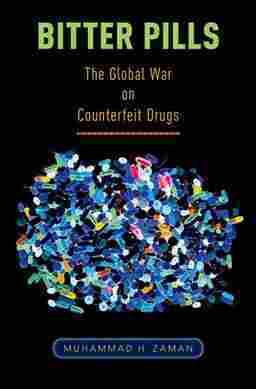 His research resulted in the book Bitter Pills: The Global War on Counterfeit Drugs. As a child in Islamabad, he writes, his family drove at least a half-hour to get to a large pharmacy called D. Watson in the heart of town. They'd pass dozens of smaller drug stores on the way, but D. Watson was "polished, well stocked, well staffed, and very clean." For their pharmaceuticals, his parents trusted D. Watson. "We didn't trust the stores closer to our home. You expect some coffee shops to be better than others. Some bakeries are better than others," he says in an interview with NPR. "That's how I thought pharmacies work. Some, like D. Watson, are better than others. If money was not a problem, you went there for drugs." Years later, he learned what could happen to people for whom money was a problem. In 2012, a news story broke in Lahore, Pakistan, about people suddenly dying at the Punjab Institute of Cardiology. "The people were ill, but not so ill that they were expected to die. But then 213 people died in a week and a half. They were in the same hospital, the same ward," says Zaman. "Some people said it was arsenic, others said it was terrorism or tainted water. People were just making things up because no one knew what was happening." Finally, samples of an anti-hypertensive drug all the patients took were sent to a lab in the U.K., Zaman says, because the population did not trust local testing facilities. The results showed that it was tainted with ingredients from a drug intended to treat malaria. According to later investigations, two barrels of white powder got mixed up in the pharmaceutical plant, Efroze, which made both drugs. "Up to 14 percent of the antimalarial was mistakenly added to the anti-hypertensive drug," says Zaman. "That would be a lethal amount, given the patients' cardiac history." As Zaman continued his research, he kept spotting news reports related to fake or faulty drugs. In one story, 16 people, also in Pakistan, died after drinking a cough syrup. In another report, a shipment of 1.4 million doses of a counterfeit antimalarial drug was seized in Angola. "There is a new story every week," he says. Tainted, counterfeit or degraded drugs on market shelves in the developing world is a problem that's hard to measure, says Dr. Ramanan Laxminarayan, founder and director of the Center for Disease Dynamics, Economics and Policy in Washington, D.C..
India, for example, has a 3 percent rate of substandard drugs, according to national surveys that randomly spot check pharmacies, says Laxminarayan. "I'm in Bangladesh right now, and they have a 3 percent to 5 percent rate of substandard drugs," he says. "That means the drug, when it reaches the patient, is not of a quality that can do any good." Some countries are in really dire straits: "In Nigeria, it's as high at 20 to 30 percent. Imagine if one in every five times you get a drug, it doesn't have an active ingredient." Those numbers could be even worse than reported because the national surveys are sporadic, many countries don't have the technology to properly test drugs, and some pharmacists, when they see an inspector coming, shutter their windows and close up shop, says Zaman. Mistakes in formulating drugs can happen anywhere, including wealthy countries, and Zaman writes about that, too. In 2012, tainted steroids made by the New England Compounding Center in Framingham, Mass., sickened 753 people in 20 states and resulted in the deaths of 64 people. "The compounding pharmacy in Massachusetts is emblematic of the fact that the problem is universal," Zaman says. Consequences for drug makers vary among countries. In the Massachusetts case, the compounding center's owner, one of 14 people who faced criminal charges in the case, was sentenced to nine years in prison in 2017, according to the Food and Drug Administration. A fund of $200 million was established to compensate the injured or the families of those who died. The New England Compounding Center is no longer in business. In the Lahore case, the families of those who died are to receive $4,000 per person, paid at the rate of $150 a month for just over two years, Zaman says. He notes in his book: "...the company did not have to pay any penalties to the government or lose its license, and its senior executives did not face any serious disciplinary action." And it remains in business. "In poor countries, punishment doesn't exist in a way that can be a real deterrent," says Zaman. It's poor countries that suffer the most, and yet there is very little information on how many people get sick or die because of substandard drugs. "It's not easy to estimate," says Zaman. "Many countries have a culture of immediate burial, and they don't do autopsies, so we don't know if they died because of a bad drug. It's massively underreported." But there are some rough estimates. "One of the best studies looked at a sliver of a sliver of the problem," says Zaman. The report concluded that of the more than 3 million children who die before age 5 in 39 sub-Saharan countries, about 120,000 die each year because of substandard antimalarial drugs. The World Health Organization also estimates that between 72,000 and 169,000 children may die each year because of substandard or fake antibiotics. But, says Zaman, there is no worldwide estimate of deaths caused by substandard drugs for all ages, all diseases. Zaman wants to increase awareness of this little-discussed problem. "The World Health Organization says that an average of 10 percent of drugs are substandard," he says. "But that's an average. In some parts of the world, it's much higher. We don't have a proper estimate. It's quite large, but how bad is it? We have no idea." Susan Brink is a freelance writer who covers health and medicine. She is the author of The Fourth Trimester and co-author of A Change of Heart.